Just a quick update on a new born online gallery, called iSee. It consists of images shot by small cameras like the iPhone. You've probably been in a situation where you said: "if only I had my camera right now"! Well the fact is, you probably had some kind of camera with you... Were you carrying a mobile phone with a camera? Likely. Not? Some recent online discussions with fellow photographers made me think about this a bit more. How often do we as photographers blame the lack of a specific lens or camera body for not being able to make the shot of a lifetime... Are we not referring to our gear a little too often? My point is that any camera is better than no camera when the decisive moment occurs. Even though the iPhone is not known for having one of the best compact cameras, it can definitively boost your creativity. Don't get me wrong. I'm not going to shoot my next commercial shoot with a little mobile phone. There is obviously a place for all the expensive great gear we carry around, but it shouldn't stop our creativity juices flowing. The iPhone images I'm uploading to iSee, received very little or no computer post-processing. When shooting with the iPhone, I'm using little 1 to 5 $ iPhone apps called Photogene, PS Mobile and Best Camera for a quick edit. The latter was recently released by the famous commercial photographer, Chase Jarvis who also just published one of the first coffee-table photo books shot exclusively with an iPhone. iSee, is all about the image and nothing about the camera! Two days ago I attended David Tejada's photo workshop, Small Flashes, Big Results in Knowledge Village, Dubai. It was part of PhotoWeekend, a multi workshop event organized by Photo Gulf Plus. David is a cooperate location photographer who almost exclusively uses small flashes to photograph anything and anybody from underground nuclear waste containers to Fortune 500 CEO's. Beside his excellent photography skills, he's also a great teacher and mentor. He flew in from Denver, Colorado and is up there with guys like Joe McNally and the famous blogger David Hobby (Strobist). The leaders of the off-camera flash movement. Since today's small flashes (Speedlights) have become much more powerful and reliable, the need for big and heavy studio powerpacks has largely disappeared.The first part of the workshop consisted of an overview of basic flash techniques and accessories like snoots,grids, light stands and gels. After lunch we went around Knowledge village to setup some shots with David's help.Four excellent models were available during the session. The images above which I shot during the workshop, give a good idea of what can be achieved with the standard small flashes. Overall it was a great but too short 8 hour day!Tomorrow, I'm leaving on a five day trip to southern India (Cochin and its backwaters). Next blog probably in about a weeks time. 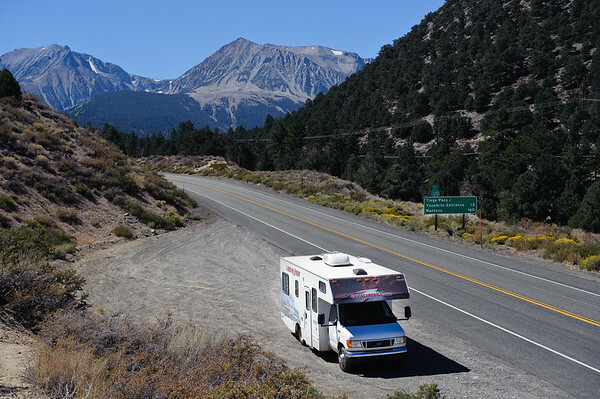 After we got back from our Chasing the Volcanos flying tour, we left the San Francisco area for the second part of the trip, the Back to Nature RV Camper adventure. 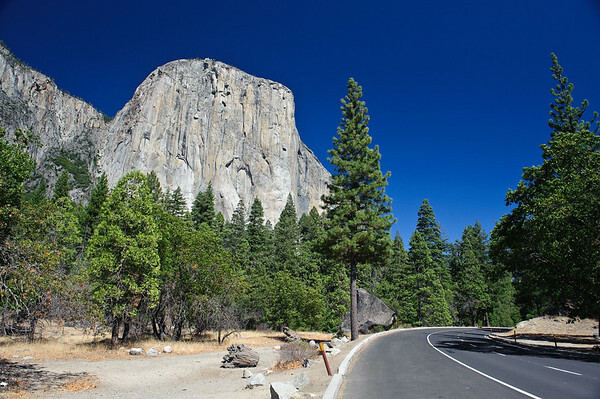 We initially headed for Yosemite, one of the most known US National Parks which covers a vast total area of 761,266 acres (308,073 ha) of wilderness. Yosemite is visited by over 3.5 million people each year, many of whom unfortunately only spend time in the seven square miles (18 sqkm) of Yosemite Valley. We decided not to be part of them. 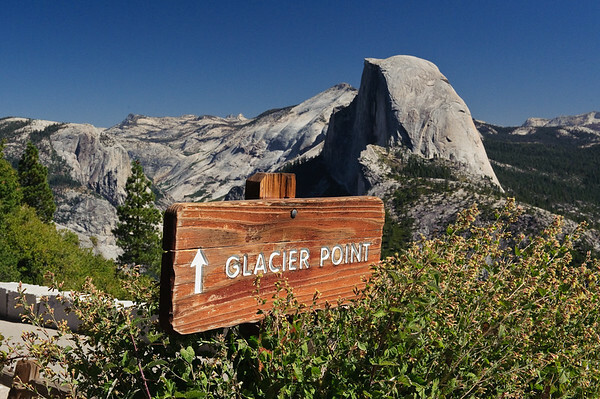 One of the most spectacular views is form Glacier point, overlooking the Yosemite valley from 7214 ft (2199m). Half Dome, a very distinct granite rock rising 4800 feet above the valley floor and the icon of Yosemite, can be seen on the right. 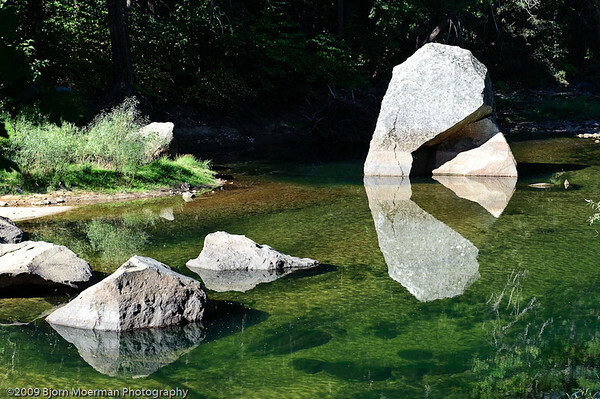 Along the Merced river we bumped into this rock formation with interesting reflections. One can easily spend a week in this magnificent wilderness area making images all day. No wonder the famous American photographer and environmentalist, Ansel Adams (February 20, 1902 – April 22,1984), spend so much of his life photographing the beauty of Yosemite. Ansel is especially known for his black and white photography and I can clearly see how the granite rock formations really are excellent B&W subjects. Unfortunately it was time to move on… We left Yosemite through the Tioga Pass (elevation 9943 ft / 3031 m), the highest highway mountain pass in California and Sierra Nevada. This pass, like many other passes in the Sierra Nevada, has a gradual approach from the west and drops off to the east dramatically, losing more than 3,000 ft (914 m) by the time the road reaches U.S. Route 395. After the steep descent, our next natural wonder was awaiting us, the majestic body of water, Mono Lake. An ancient alkaline lake, over 1 million years old and covering about 65 square miles with a salinity level twice as much as normal ocean water. For comparison the Dead Sea has a salinity level which is 8 times as much as the standard ocean water. 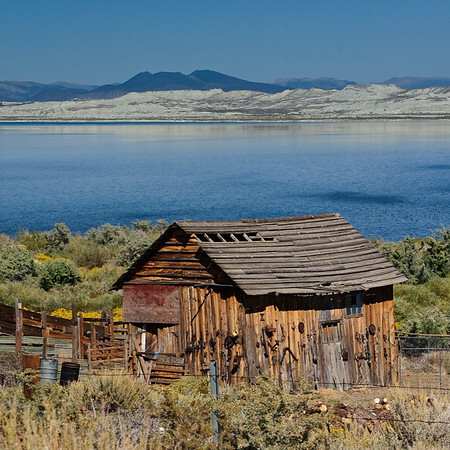 It is one of the oldest lakes in North America and has no outlet. 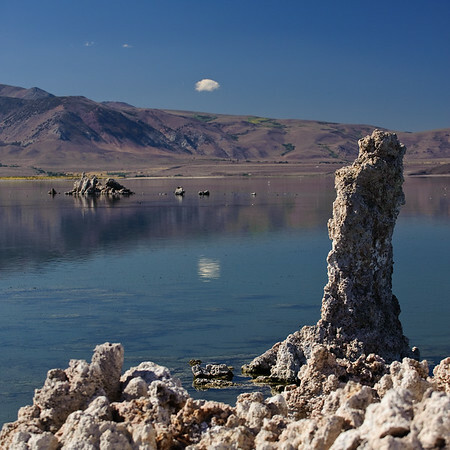 The southern part of the lake has very interesting "Tufa" formations, which are calcium-carbonate spires and knobs formed by interaction of freshwater springs and alkaline lake water. Once again full of great photo opportunities. Next, we started looking for Gold… more in the next blogpost!